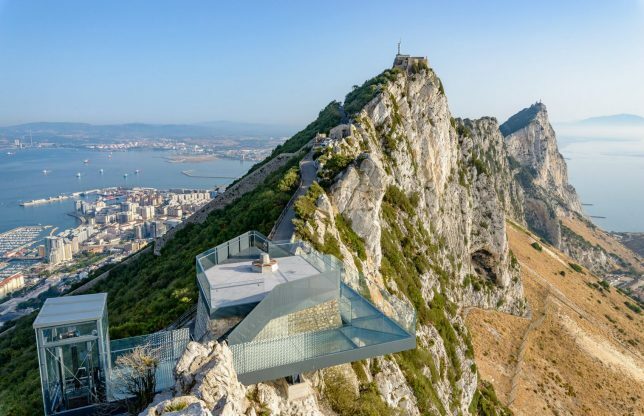 Cantilevered off the steep edges, near the top of the famous Rock of Gibraltar, it’s hard to believe this peaceful viewing platform once housed anti-aircraft guns, its critical location a strategic lynchpin during World War II. 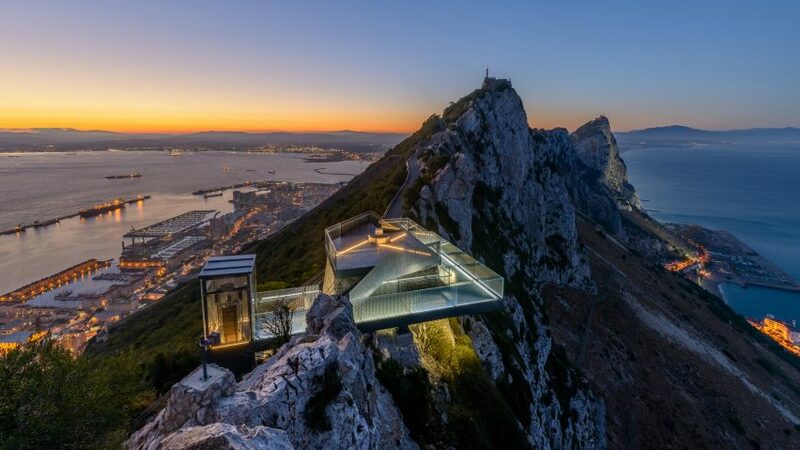 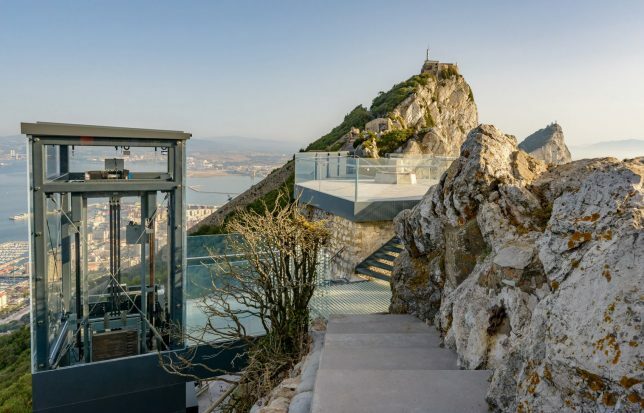 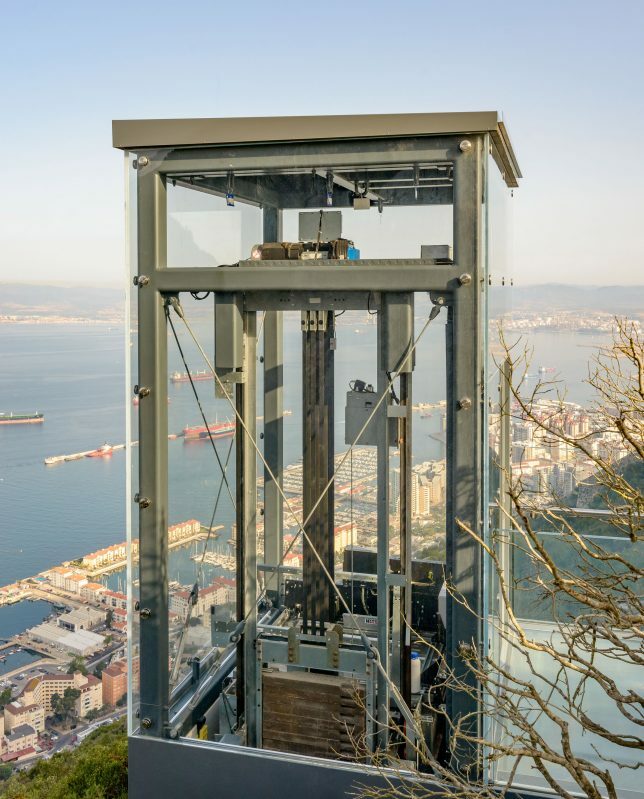 Developed by Arc Designs, the Skywalk sits in the Upper Rock Nature Reserve on top of a natural stone base, accessed by steel stairs (or a panoramic lift) from below. 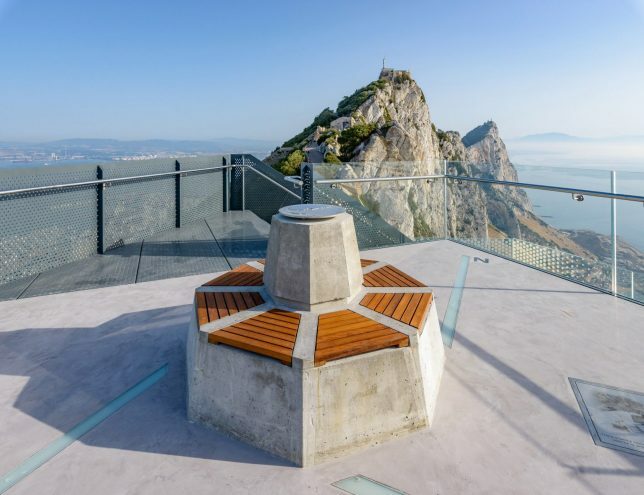 The base of the gun emplacements have become benches. 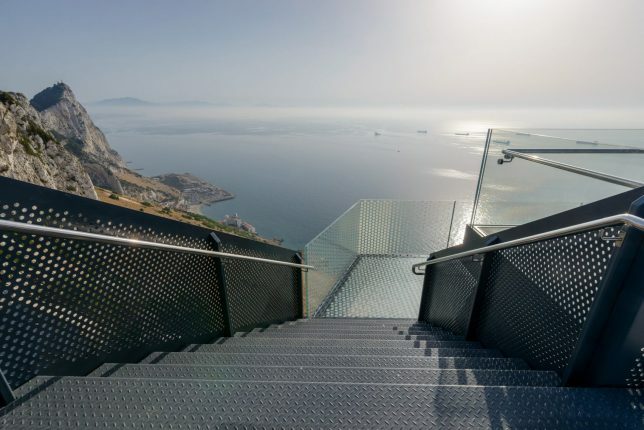 The views were part of a a design aimed to engage visitors, “while at the same time ensuring a subtle intervention, which did not detract from the natural and historic nature of this unique setting.” Slim steel and extensive glass help minimize the visual impact of the lookout platforms and walkway. 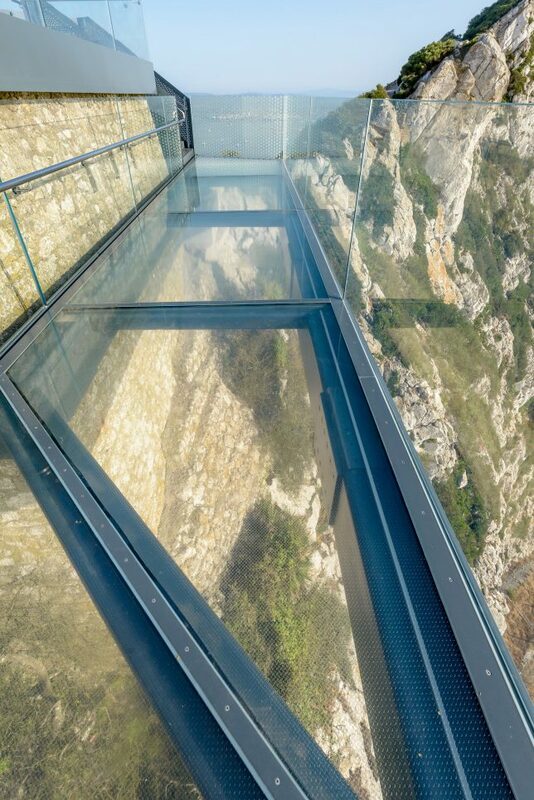 The modular structure has to support not just visitors but extremely high winds on the exposed surface of the Rock. 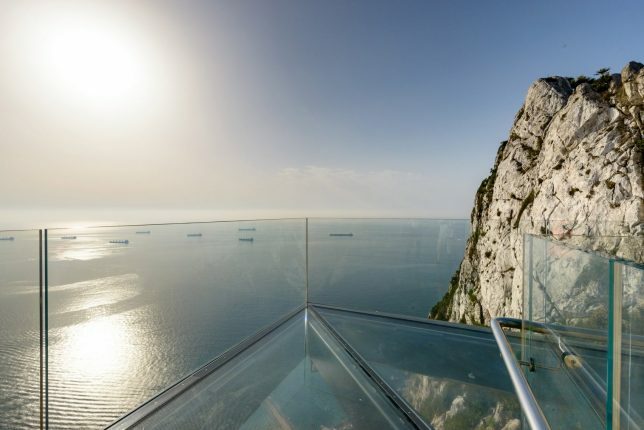 The Rock itself is a monolithic limestone promontory located in the British overseas territory of Gibraltar, near the southwestern tip of Europe on the Iberian Peninsula.